Creating the right atmosphere for your home is a special process. Many of your most precious memories will be spent at home. Imagine the warmth of the fireplace during the holidays, the warmth of the sun on a beautiful summer day, or the springtime breeze while relaxing on the patio hammock. You’ll see while reminiscing with family photo albums that your home is the backdrop for some of your most treasured experiences. Create a backdrop that is welcoming, calming, and beautiful. 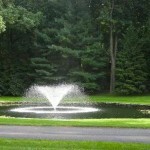 There are several ways that you can utilize water and light to accent the beauty and style of your home. 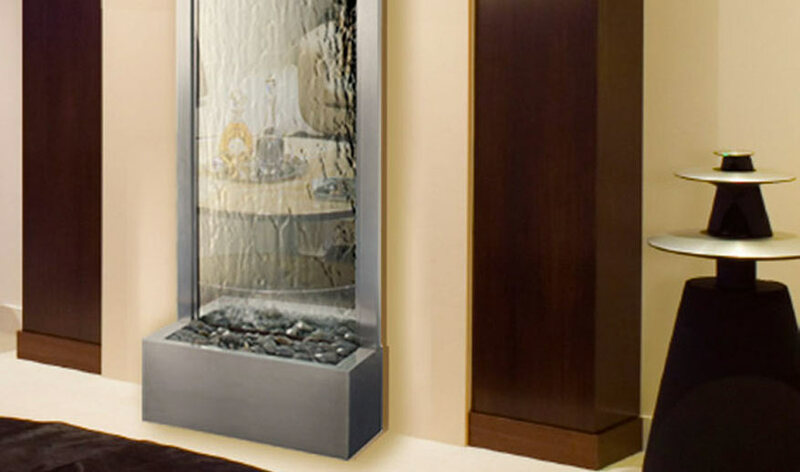 If you are looking for the perfect way to bring a new look and feel to your indoor space, a wall mounted fountain may be just what you’ve been searching for. 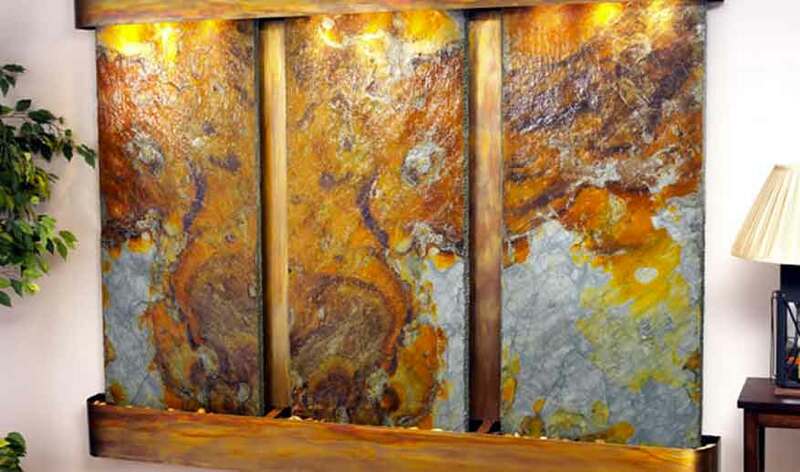 Water walls come in a wide range of colors, materials, and styles. 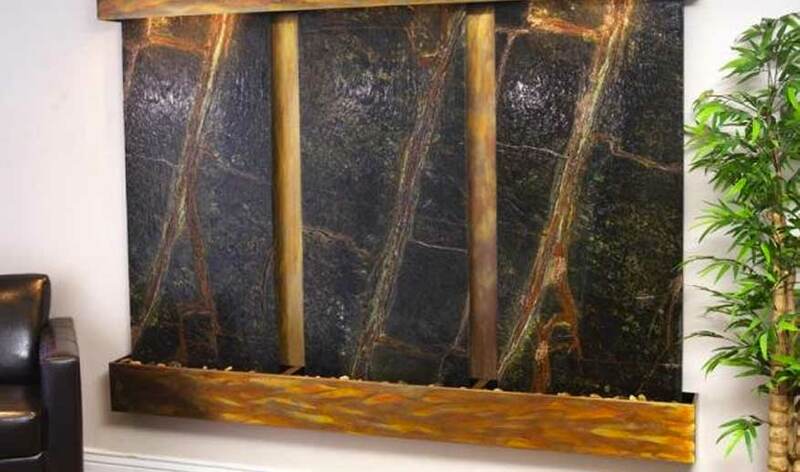 From natural looking rock and slate pieces with copper frames, to bold and unique custom art pieces, there are many ways they can enhance the style of your space. The water flow also assists in purifying and humidifying the air. The steady flowing sounds of the water produce white noise, which is proven to calm and assist a restful sleep. 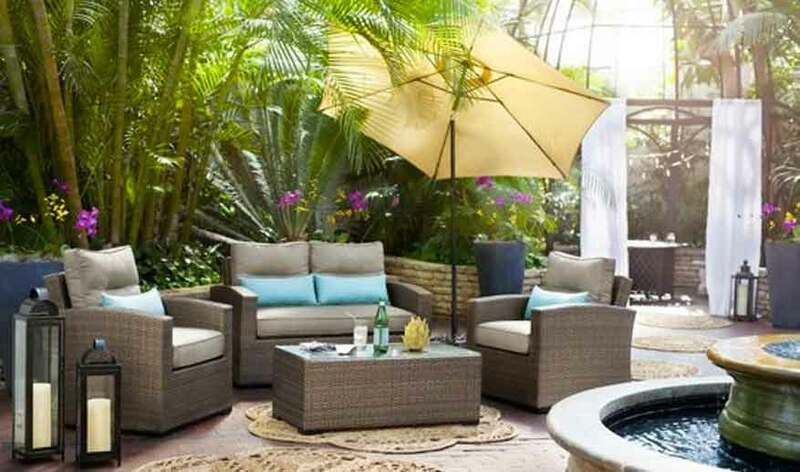 There are several ways you can make changes to your backyard, but one of the most stylish and impressive ways to accent your space is with water. 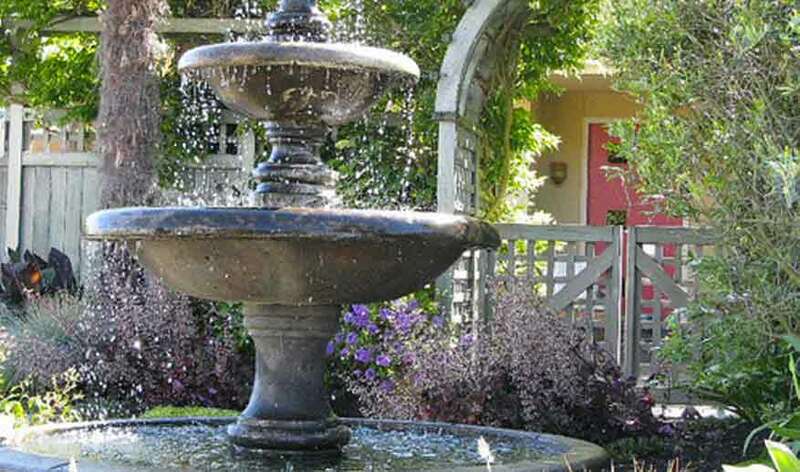 A beautiful statuary fountain will serve well as a centerpiece or garden accessory. 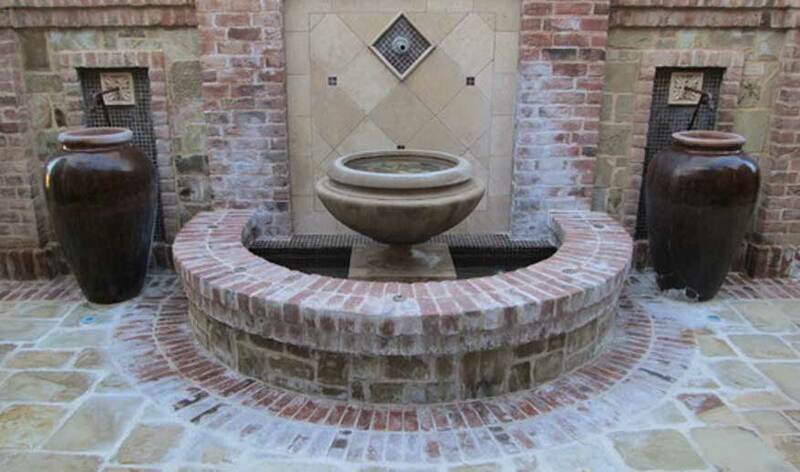 If you are look for a more sleek and modern look, a spillway will accent your setting with a sleek sheet of water, flowing gently into a basin below. 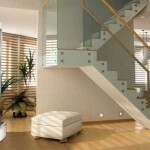 They look great along walls and staircases, or in conjunction with a small pond. 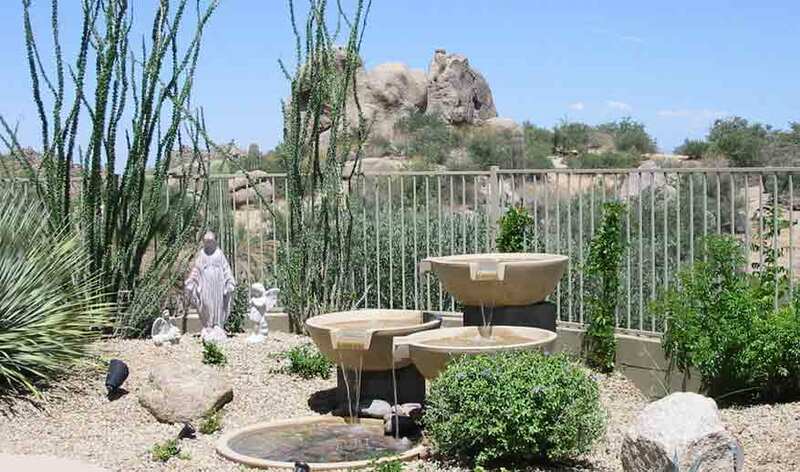 Water panels, fountains, and spillways are great ways of accenting your home and patio space with water, and you can do even more take these water features to the next level. 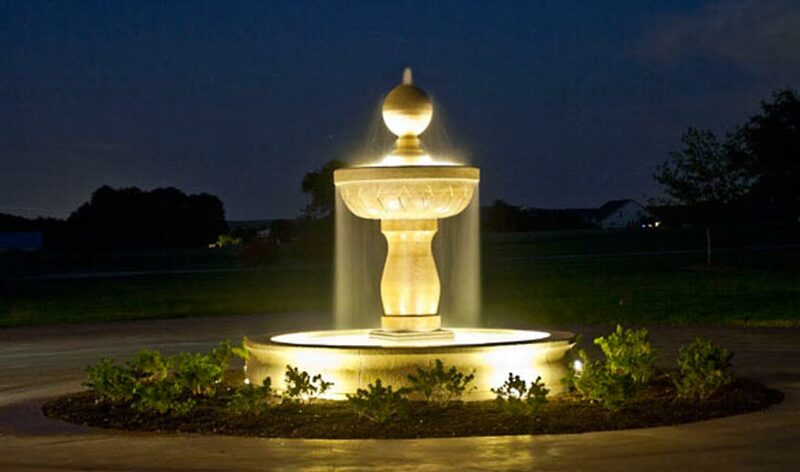 One of the best ways you can accent your space is by installing LED lights in your water features and landscape. Lighting is a powerful element that people often overlook. 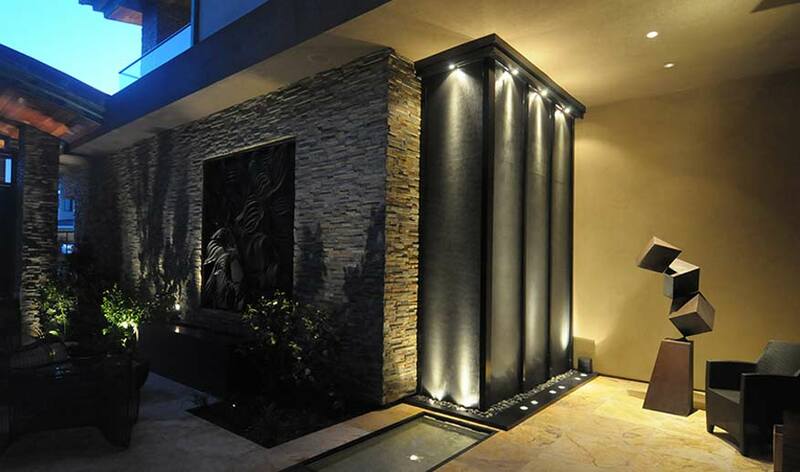 When applied thoughtfully, lights can completely transform your nighttime scene. LEDs come in all types of colors, some even color-changing. With so many options for light, you can create light themes for certain moods and events, and truly make the most of your property. When you’re planning out how you want your space to look and feel, make sure you are thoughtful with your choices. Small improvements can make all the difference. Subtle accents to your home and landscape are a great way of bringing out the natural and structural beauty of where you live. With well-placed sources of flowing water and soft light, you can truly accent your space without overwhelming the scene. You will love to come home to such a beautiful, calming, and relaxing place.